Summary: "Meet Josephine Foster, or Zo Jo as she’s called in the biz. 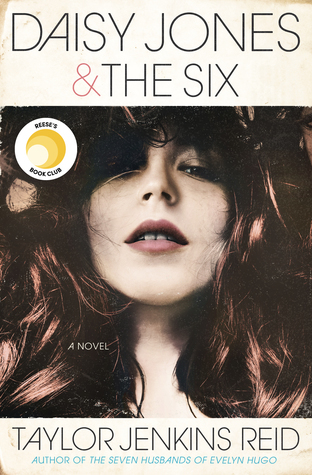 The best pint-sized photographer of them all, Jo doesn’t mind doing what it takes to get that perfect shot, until she’s sent on an undercover assignment to shoot Ned Hartnett—teen superstar and the only celebrity who’s ever been kind to her—at an exclusive rehabilitation retreat in Boston. The money will be enough to pay for Jo’s dream: real photography classes, and maybe even quitting her paparazzi gig for good. Everyone wants to know what Ned’s in for. But Jo certainly doesn’t know what she’s in for: falling in love with Ned was never supposed to be part of her assignment." First line: "I crouch behind some thick green shrubbery to do my final check." Thoughts: If you're looking for a cute, fun read, Shooting Stars is the book for you. While it's a little predictable, the overall story makes up for it with it's charming cast of characters and precious moments. Plus, since the weekend's just around the corner, what better way to spend it than to curl up with a book as adorable as this one? 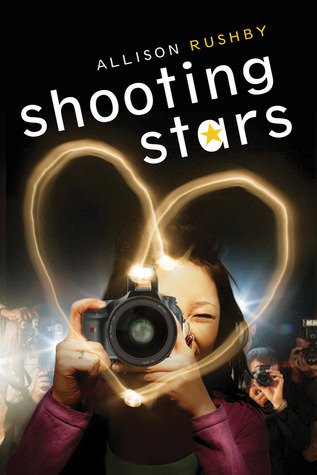 Shooting Stars centers around the story of Josephine "Zo Jo" Foster, a teenage paparazzi looking for her next great picture (i.e. Ned Harnett, who is basically the book's version of Zac Efron). When Ned ends up in rehab, Josephine receives the chance to get the photo of a lifetime. The one thing she wasn't expecting to do was to get to know Ned. You know how love goes... Once you fall, you fall hard. I really enjoyed Josephine's character. At first, she was just this teenage paparazzi trying to earn enough money for photography classes. As the story progresses, she begins to question whether or not she's doing the right thing, photographing the personal, private lives of others. Morality and growth are two things Josephine struggles with throughout the novel, and it's also something most teenagers struggle with today. Maybe not to this degree, but nevertheless, it's easy to relate to, and I really appreciated that. I don't know about you guys, but something I need in each book I read is a little romance. Whether it's a teaspoon of love or a bucket full, it's just something I need. Shooting Stars certainly delivers in this department. I have to admit, it took a while to get there, but once it does, boy howdy! Oooooh yeeeaaahhhh! Needless to say, the pool scene was one of my favorite scenes. I do have to admit, there is a bit of a twist to this story, and I quickly saw it coming. Nonetheless, I still really enjoyed this story and would recommend it to fans of cute contemporary novels. It's age appropriate enough for younger teens and sweet enough for adults who love YA literature. If this book doesn't make you grin from ear to ear, I don't know what will. This sounds like a cute fun book. fantastic review! This was a cute book and the pool scene was one of my favourites too. I didn't see the twist coming though, I was just like "huh okay." Great review! I'm really looking forward to reading this one! It sounds so cute and fluffy, and sometimes, that's just what I need. Cute! Now I must read. I'm hoping to read this book later this week and I'm really looking forward to a cute contemporary-sometimes that is just what I need and want.